President Obama has nominated Mark Rosekind to serve as the head of the National Highway Traffic Safety Administration (NHTSA). According to Roll Call, Rosekind is a current member of the National Transportation Safety Board (NTSB) and his nomination is supported by the Governors Highway Safety Association. The top position has been vacant for a long time, and the GHSA believes Rosekind would be a good person for the job because he has been a leader in deterring drunk and drugged driving, as well as distracted driving. With this new nomination, some lawmakers are touting the successful efforts of the NHTSA in making the roads safer. Unfortunately, a Boston car accident lawyer knows the NHTSA has had some high profile failures in recent years and other government officials are seeking an investigation into whether the agency is truly doing enough to protect the public. Is the NHTSA Effective in State Purpose? Those who tout the NHTSA accomplishments argue driving in the U.S. is a lot safer today than it was two decades ago. Statistics on the number of fatalities per million vehicle miles traveled seem to suggest that far fewer people are dying in car crashes, as do statistics on the number of people killed per 100,000 people and per 100,000 licensed drivers. In 2012, for example, there were 7,155 fewer deaths than in 1994, even though there were 36.4 million more people in the country who had a license and even though people in the U.S. drove 600 billion more miles over the course of the year as compared to 1994. Innovations have made a difference in reducing accident risks. Rumble strips, the increased use of seat belts and better enforcement of drunk driving laws are some of the big contributing factors cited as causes for the decline in car accident deaths. 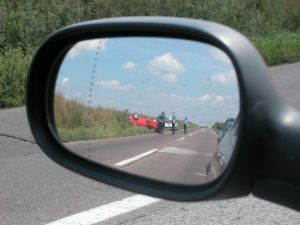 However, the NHTSA may be overstating its effectiveness and glossing over the whole story about these “great strides.” As USA Today reports, for example, other countries have seen even greater declines in car accident fatalities than the U.S.
For example, in Germany and the Netherlands, there was an 81 percent reduction in the number of people killed in collisions since the 1970s. In Britain, the death toll went down by 76 percent. In the United States, there was only a 41 percent decline since the 1970s. A total of 25 other countries beat us in terms of reducing deaths, and they did this because they focused on changing driver behavior, rather than just improving safety technology. Auto News also reports both Democrat and Republican leaders of the House Energy and Commerce Committee have requested a review by the Government Accountability Office of the NHTSA. The request largely stems from the handling of two high profile recalls: Takata airbags and GM ignition switches. The NHTSA may not be communicating as effectively as it should when things go wrong, and this is a big concern when technology fails.